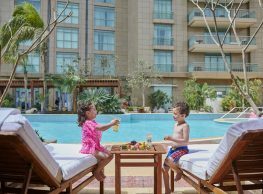 Garden City’s Kempinski Nile Hotel welcomes one and all for lavish Friday brunch buffet at The Blue Restaurant, where the little ones will have plenty to keep them busy, including baking classes. 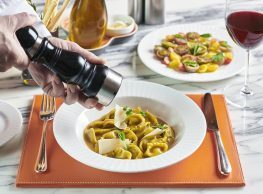 295LE++ per person, children under 12 receive 50% discount, children under 6 eat for free. For more information and reservations, call 02-2798-0000.